Having accessed an online short course in keyboard typing, Chocolate Bunny is contemplating the fact that, no matter how many times he counts them, he only has four digits per paw, and is having trouble with those space bar manoeuvres. He is also a little mystified by the fact that the course suggests the use of only two paws, when he believes he could effectively utilise all four. 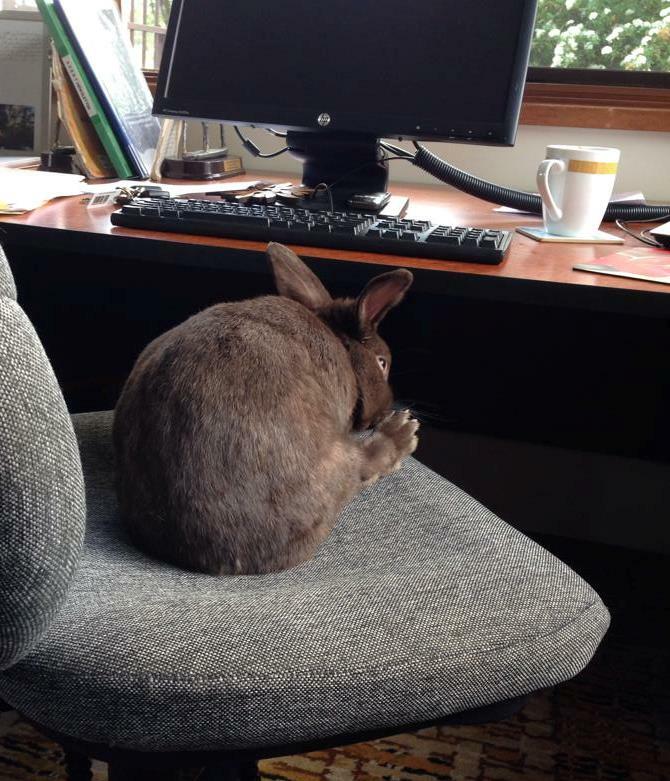 He is now carrying out an advanced Google search to locate a rabbit-specific typing course.